We (my husband Ryan Stevenson and I) commute daily into Sacramento for work and wanted to decrease money spent on gas and also decrease our carbon footprint. 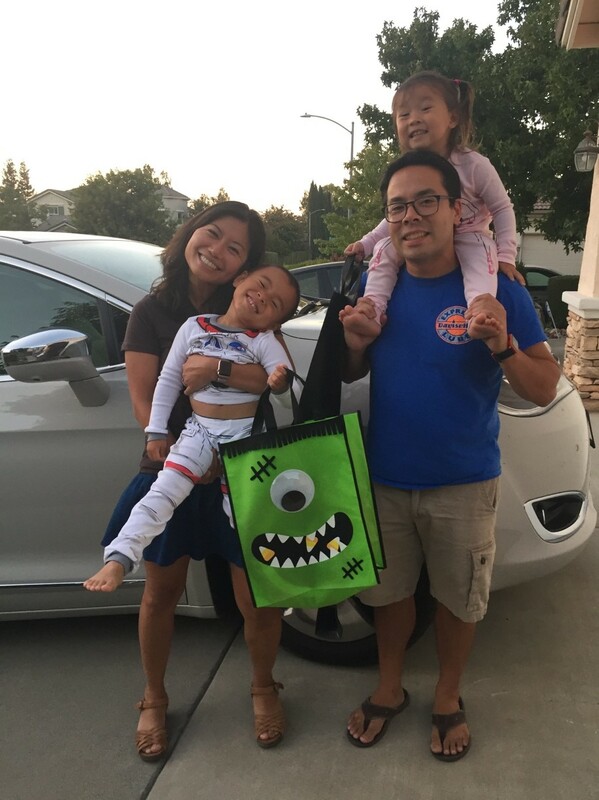 We also wanted a minivan to accommodate our children, but the fuel economy is generally less on minivans given their large size, so that is what led us to consider an electric/hybrid minivan. The Chrysler Pacifica is the first plug-in electric hybrid minivan ever made. We were deciding between the Honda Odyssey and the Chrysler Pacifica. The federal and state rebate on the latter greatly reduced the price difference between the conventional car and the EV, and the long-term savings through special electric rates at home through PG&E made the investment worthwhile. The hardest part is finding more electric chargers, but we have noticed increasing numbers of charging stations in many places including shopping centers, work, and other public parking areas. Some chargers are even free to use. The biggest misconception is that you may have less power in acceleration or more mechanical problems. We have not encountered either of these issues. 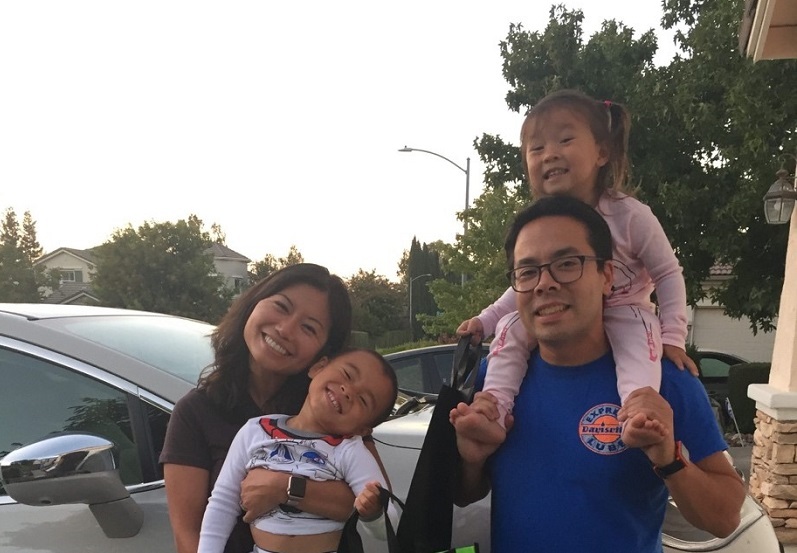 We recently had a fantastic family vacation driving down to Monterey/Santa Cruz in our electric/hybrid minivan with our two toddlers. One hotel we stayed in even had free charging stations! Do you have any good stories about your experience as a EV owner? We need to have more free or low-cost charging stations available all over. This would help significantly in encouraging more EV purchases.